Do camels bite (or maybe eat cameras)? 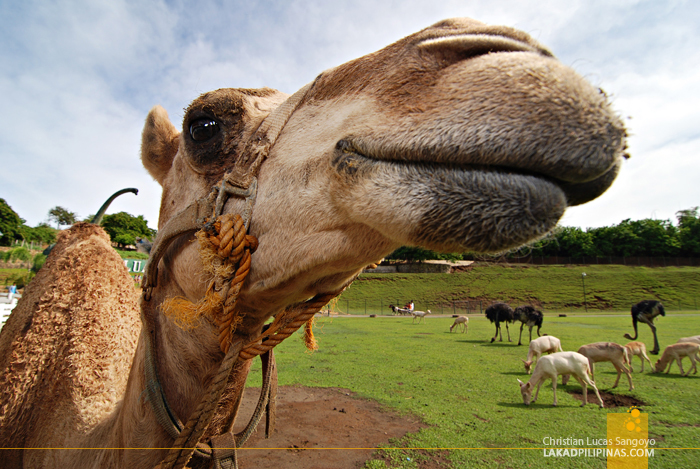 Was the question that immediately coursed through my head as I trained my ultra-wide angle lens at one of the camels roaming freely around Baluarte in Vigan City. It immediately and playfully nudged my lens, smudging it with its huge snout. 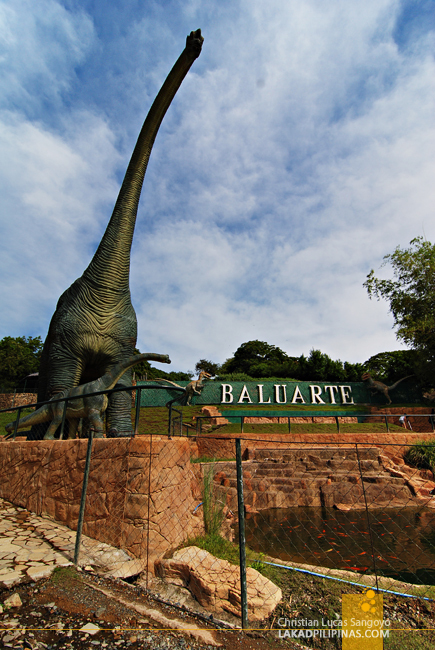 Welcome to Vigan City’s Baluarte, a zoo where non-people eating animals roam freely while dinosaurs soar their necks to the heavens. Well, at least life-sized concrete dinosaurs. It may not be Jurassic Park, but this is one of the coolest zoos I’ve been to. 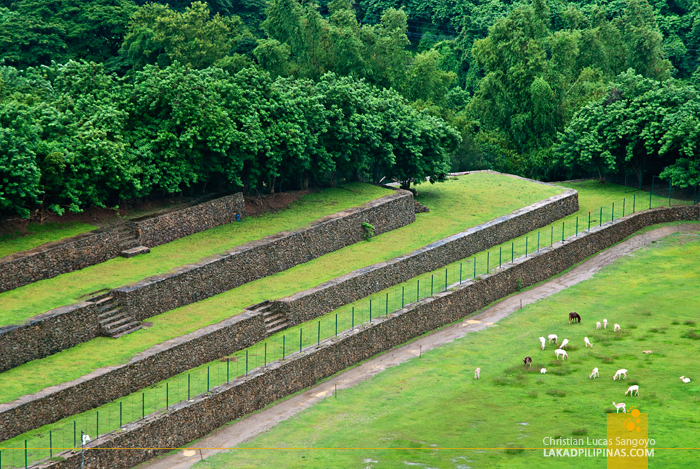 This free-roaming animal sanctuary is owned by former Ilocos Governor Chavit Singson. 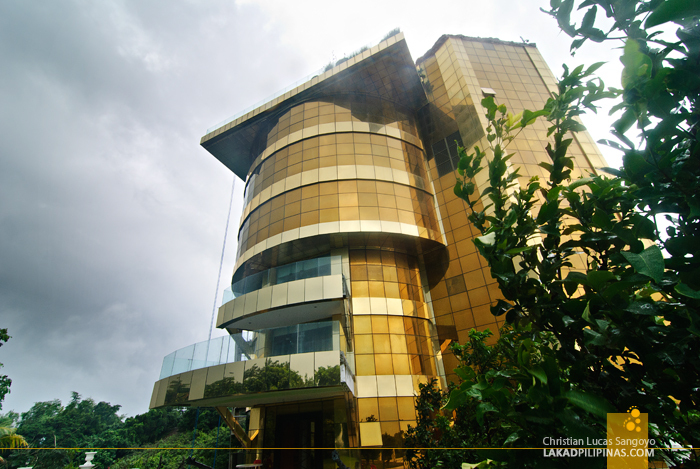 And one can immediately see how influential this guy is just by looking at his personal rest house standing amidst the eighty-hectare park; the golden-clad building topped with a burning bush up its roof. The park is about fifteen minutes away by car from the center of Vigan City. During my first visit, I tried to walk all the way to Baluarte from the town; it took me a good hour to reach it. 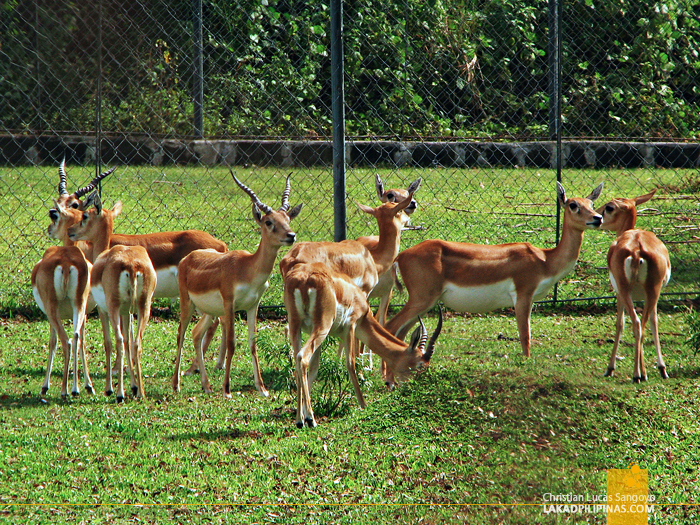 The first thing that surprised me upon arriving at the zoo was its entrance fee. There are no entrance fees. Chavit is generous enough to waive off any form of payment in Baluarte, saying it is his gift to his fellow Filipinos (and foreign tourists too, I assume). 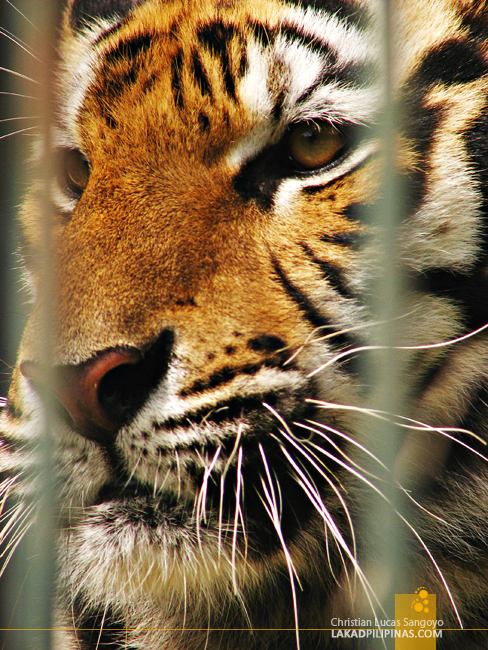 The zoo is home to deer, camels, miniature horses, impalas, ostriches and tigers—caged ones, don’t worry—among others. 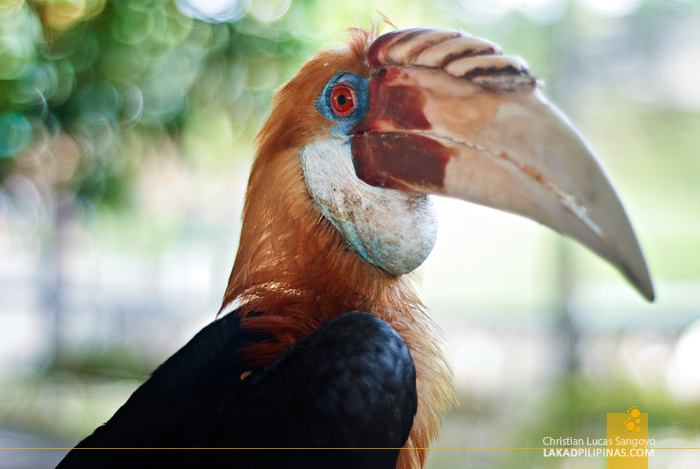 They also have a slew of bird species, from the common African Love Birds to the more exotic hornbills. Besides going around the zoo through a rickshaw driven by a miniature horse called the tiburin ride, Baluarte also features live animal shows (four times a day, everyday), a petting zoo and a butterfly garden. Everything is, amazingly, still absolutely free of charge. Within the grounds, one can also have a glimpse, and even touch, Chavit’s personal mini-submarine. 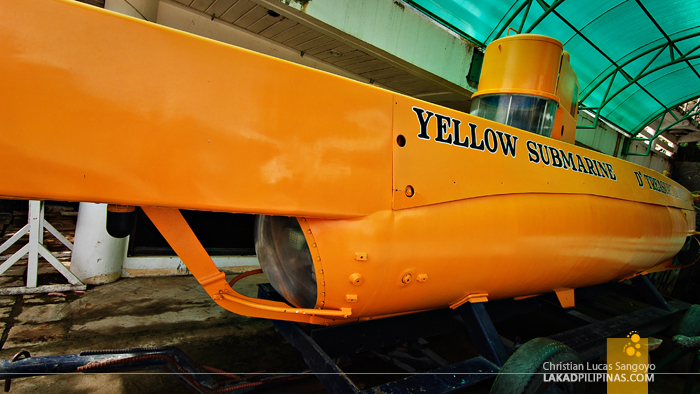 With its iconic yellow color, one can easily guess what its name is. It may look like a toy, and it probably is one of the former governor’s favorite toy, but it is a functional one-man submarine that he uses to track treasures during his free time. 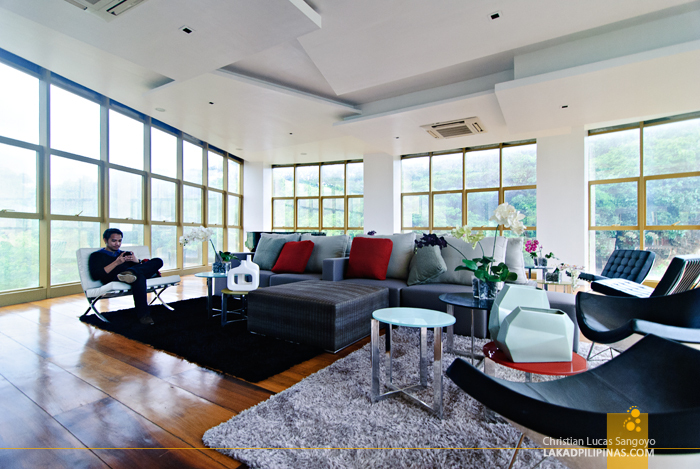 While almost everything in Baluarte is free of charge, the only thing that visitors aren’t free to enter is his rest house; understandably so. It was such a pleasure then that we were allowed access to the Golden Building, as the locals dub it, during our last Vigan escapade. We were even introduced to the former Governor himself and have a hearty lunch inside; a curious deer nosing around and accompanying us right through it all. The view from the roof deck of the building was also quite nice, even with the dreary weather we were experiencing. 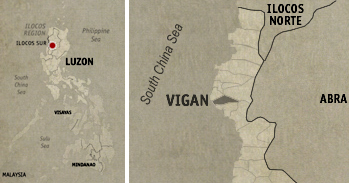 From here, one can already see the South China Sea where Vigan’s black sand Mindoro Beach is. 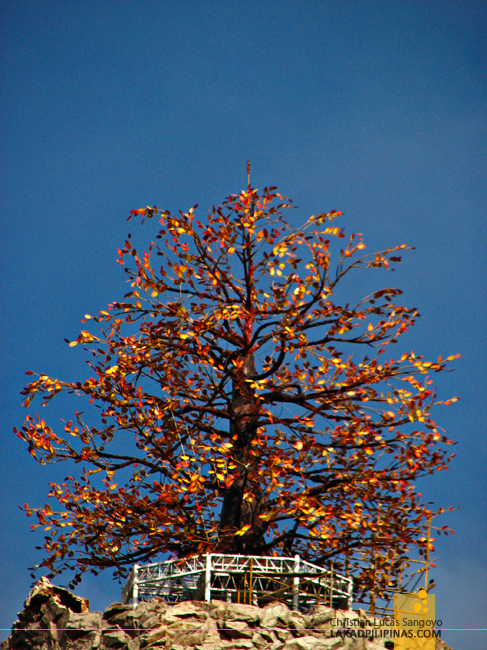 But what I really wanted to do was to climb, even if just on the base, of the Burning Bush sculpture. No luck on that front. As we exited the Baluarte in Vigan, I was still unsure if camels do bite. 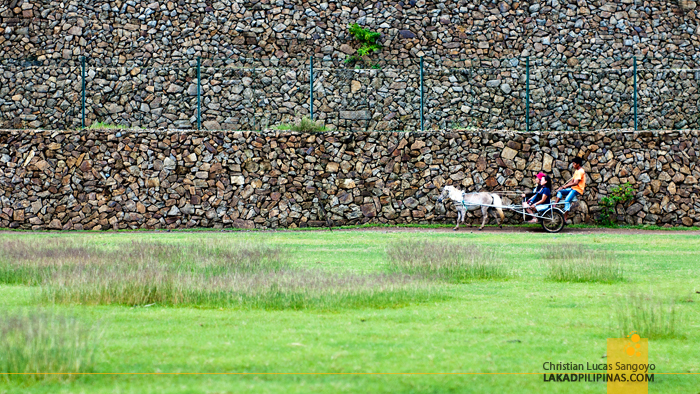 It was now my second time to visit Baluarte so I think I have to know it after this time. I asked my seatmate, he also wasn’t sure. Hmmm. I guess the only thing I’m sure of now is that they don’t eat cameras; well, they nudge and smudge them, but no I don’t think they eat them. But what about tigers? still i'm reading an online magazine. Hello. Are you open on holidays?